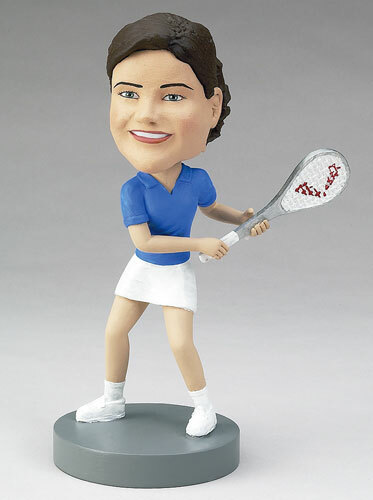 This custom bobblehead wears a traditional female tennis uniform and holds her racket in anticipation of a powerful serve. The uniform can be personalized to your tennis player's favorite colors. With this bobblehead, you can encourage her during the tournaments or congratulate her on winning them!